Autorola Solutions professional vehicle inspection system, VIS, ensures high quality inspections directly to Fleet Monitor. VIS supports your international remarketing strategy, and inspections are fully translatable to all Autorola auctions whether it be national or international – and guarantees high quality and professional presentation of your vehicles – making sure your buyers “see what they get”. VIS is highly configurable and allows your preferred inspection partners to conduct various types of inspections depending on your inspection needs. Everything from pre-delivery inspections to full-fledged professional inspections, VIS can be configured to meet your needs and quality requirements. With its’ user friendly modular step-by-step process, VIS makes sure that all vehicles are described and inspected according to leading industry standards. 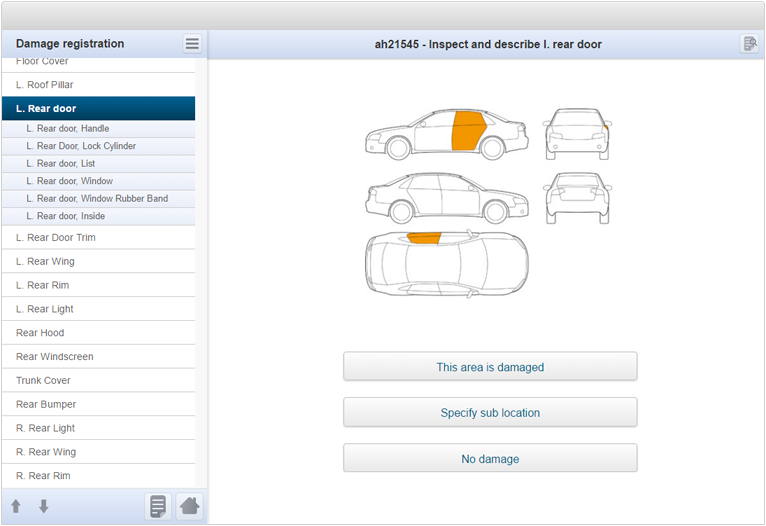 VIS is a responsive web application that allows inspection of vehicles from a desktop PC as well as any mobile device, android or IOS. VIS is fully integrated into Fleet Monitor and shares data with Fleet Monitor through a real-time interface. Contact us to get more information about our vehicle inspection services.